This book brings together the poem, the historical background of the famous battle, a riveting account of the battle itself, and a discussion of its historical consequences. The poem is fully annotated, and is supplemented with two interesting essays by Chesterton himself. 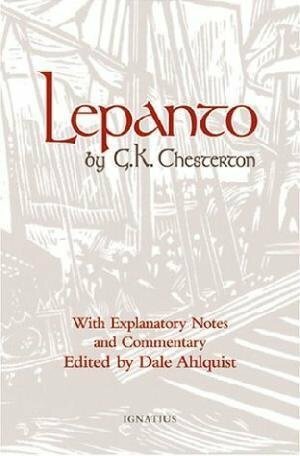 Well-known Chesterton expert, Dale Ahlquist, has gathered together all the insightful commentaries and explanatory notes. Here is the story behind the modern conflict between Christianity and Islam, between Protestant and Catholic Europe, and the origin of the Feast of the Holy Rosary. A fascinating blend of literature, history, religion and romance! 124 pages.